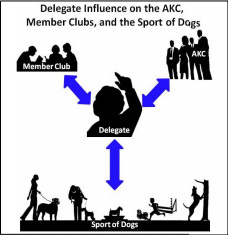 The Importance of Your AKC Delegate What are the unique powers of a Delegate? How do they exercise these powers? What are the qualifications for a person to become a Delegate? What should a Member Club expect from their Delegate? What should your Delegate expect from the Member Club?